This is a folder I developed for my daughter when she was young. She was not understanding time well from her math curriculum. I have shown this example in my workshops and people request it so much I am now making it available. (The template is in my Enrichment Activities ebook). 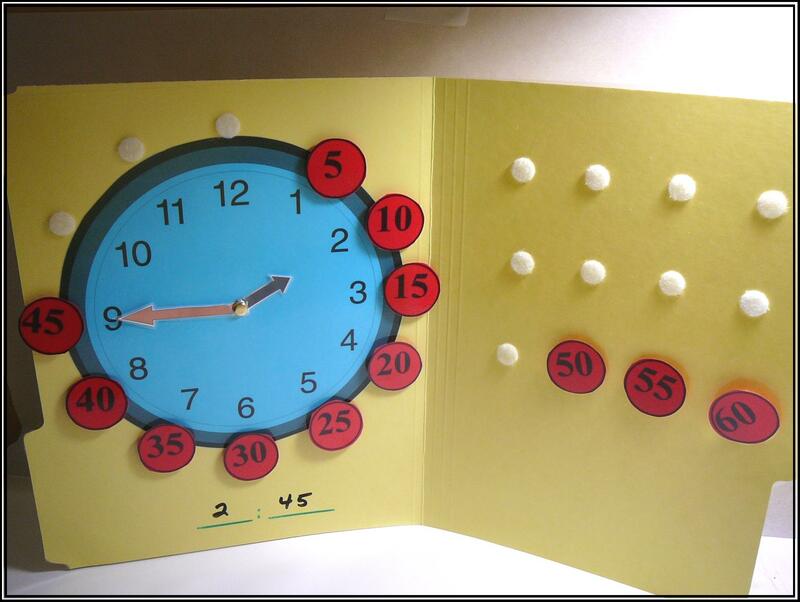 The activity will provide a fun, hands-on understanding of time, allow you to quiz and assess their understanding of time and I find that kids can't wait to get their hands on it. There are toys you may purchase to teach this, but I find there is no substitute for the active, hands-on moving and placement of the pieces to help them better understand the concept. This file folder will come laminated, velcroed and completely put together.